Cocaine is an extraction of the leaves of the Erythroxylon coca bush, which is indigenous to the Andean highlands of South America. Most of the cocaine available in the U.S. is transported from the country of Colombia. Cocaine comes in two main forms, powder and crystalline. The crystal rock form, commonly known as crack or freebase, is cocaine that has not been neutralized by an acid. Approximately 35.9 million Americans aged 12 and older have tried cocaine at least once in their lifetime, according to a national survey, and about 2.1 million Americans are regular users. Drug enforcement personnel estimate that about 2,500 Americans every day try cocaine for the first time. Cocaine is the most frequently reported illicit substance associated with drug abuse fatalities and causes three times more deaths than any other illegal drug.f However, prescription drug abuse has recently passed cocaine abuse as the leading cause of all drug-related deaths. Cocaine may be administered by snorting through the nose, injecting into the bloodstream with a needle, or smoking to produce vapors. Powder cocaine is generally snorted or mixed with water and injected, while crack cocaine is most commonly smoked. Of the more than two million Americans that currently use cocaine, just over 700,000 are users of freebase or crack cocaine. Cocaine is the most powerful central nervous stimulant found in nature. Its physical effects include constricted blood vessels and increased temperature, heart rate, and blood flow. Users of the drug experience greater alertness, energy, self-confidence, and even power after administration. Cocaine produces its euphoric effect by activating the nerve cells in the brain that release dopamine, a chemical associated with pleasure and mental alertness. The drug then inhibits neural transporters from “mopping up” the dopamine and storing it for a later time. The longer the dopamine stays active, the longer the sense of euphoria lasts. Coca leaves, the source of pure cocaine, have been chewed and ingested for thousands of years for the euphoric effects of the drug. They were first used by members of the Inca civilization in the Andes mountains, who believed the coca plant was a gift from the gods. Pure cocaine was first extracted from the leaves of the coca plant in 1859 and was marketed in a fortified wine in France as early as 1863. Cocaine was first used in the U.S. in the 1880s, where it was applied as an anesthetic in eye, nose, and throat operations. This use has since become obsolete with the development of safer drugs. In 1884, William Stewart Halsted, a famous American physician, performed the first surgery using cocaine as an anesthetic. Subsequently, Halsted became the first cocaine-addicted physician on record. Cocaine hydrochloride, the purified chemical from the leaves of the coca plant, was the main active ingredient in several tonics and elixirs produced for a variety of illnesses in the early 1900s. One product, Tucker’s Asthma Specific, contained 420 milligrams of cocaine per ounce of the medicine. The soft drink Coca-Cola originally contained an estimated nine milligrams of cocaine per serving, which combined with caffeine to create the drink’s powerful stimulating effects. While cocaine was officially removed from the drink’s ingredients in 1903, a cocaine-free version of the coca leaf is still used as a flavor additive in the soda. Psychoanalyst Sigmund Freud is one of the more famous proponents of cocaine. After trying the drug for the first time in 1884, he recommended it as a useful treatment for depression, alcoholism, and morphine addiction. The famous nineteenth-century literary character Sherlock Holmes was a frequent user of cocaine, and he is often described in Sir Arthur Conan Doyle’s tales as indulging in cocaine when no stimulating cases were present to excite his mind. Cocaine was first regulated under federal law by the Harrison Act of 1914. The act banned nonmedical use of the drug and imposed the same criminal penalties for cocaine use and possession as already in place for opium, morphine, and heroine. After cocaine was outlawed in 1914, use of the drug dropped dramatically until it rebounded in the 1960s. By the late 1970s, it was commonly used by middle and upper-middle class Americans and it became known as the drug of the 1970s and 1980s. Crack cocaine appeared in the mid 1980s and became an instant “hit” among poor and young users, due to its relatively inexpensive street price and quick euphoric effects. 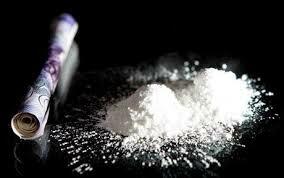 Cocaine is nearly always diluted by dealers in order to increase the overall quantity and maximize profits. Common additives in cocaine include lactose, lidocaine, cornstarch, talcum powder, and sugar. Because cocaine enters the bloodstream much faster when it is smoked, smoking crack cocaine can bring users to a euphoric state twice as fast as when the drug is snorted. Since the onset of the drug is faster and more intense, the subsequent “crash” after use is also more extreme for users of crack cocaine. In 2008, nearly 50,000 kilos of cocaine were seized in the U.S. during drug arrests. The wholesale street value of this amount of cocaine was approximately $1.5 billion. In the year 2007, nearly 12,000 offenders in the U.S. were sentenced to prison time on cocaine-related charges. More than 95% of the cocaine cases sent to federal courts involved trafficking of the drug. The highest rates of cocaine use in the U.S. are among adults aged 18 to 25, with about 5% of Americans in this age group admitting current use of the drug. Cocaine is extremely addictive, and frequent users generally require more and more hits to produce the same high. When the drug is smoked, as in the form of crack cocaine, addiction tends to develop more quickly. Babies born to mothers who used cocaine during the pregnancy tend to be born prematurely, have low birth weights, and suffer from brain damage. The risk of spontaneous abortion is also greatly increased with cocaine use during pregnancy. Men are more likely to use cocaine than women, as the drug is associated with living dangerously and wildly, but the gender gap is beginning to decrease. According to 2008 statistics, there are approximately 700,000 new male users each year in the U.S. and about 500,000 new female users. When cocaine is used in combination with alcohol, the body converts the two substances into cocaethylene. This toxic combination causes a greater duration of drug effects in the brain and is the cause of more deaths than any other drug combination.